When I was being rained on in Montrichard yesterday, I took a photo of the Cher. You can see how high it is from the trees on the opposite bank. Lorsque j’étais sous la pluie à Montrichard hier, j’ai pris une photo du Cher. Les arbres sur la rive en face montrent bien la montée de l’eau. 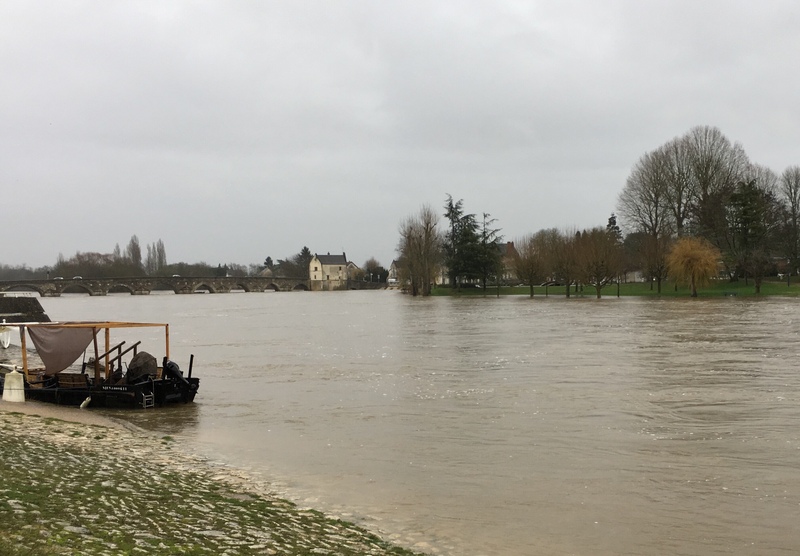 Tagged: cher river loire valley, Montrichard. I just read where Paris is also flooding. I wonder if Spain has drought breaking rains yet? It looks like your area needs a week or two of dry, sunny weather. Wow!